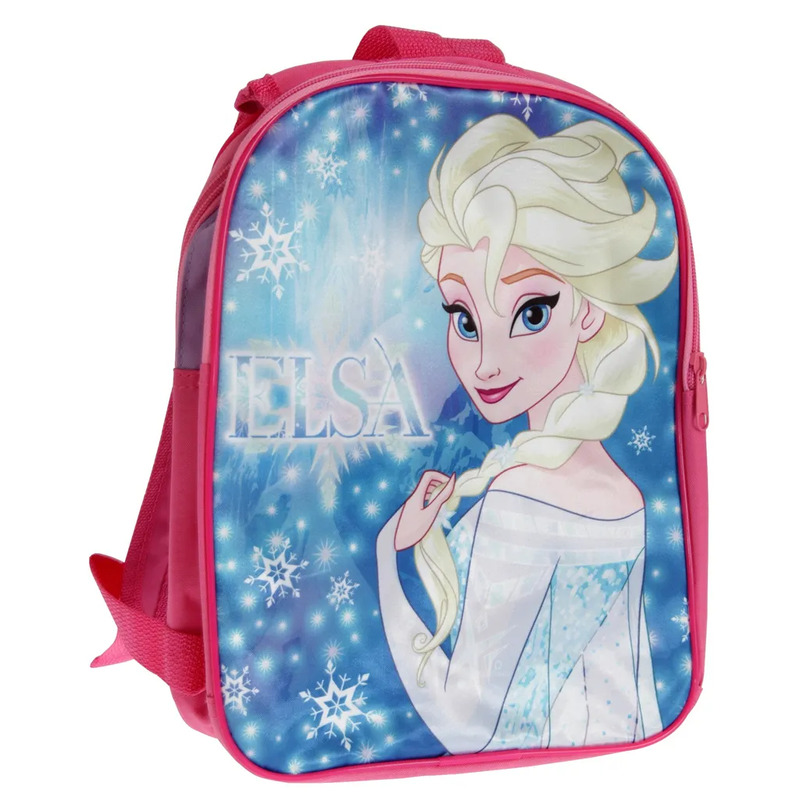 Girls backpack with Anna and Elsa image from Frozen. Adjustable straps that can be reversed so that an image of either Anna or Elsa is visible on the back. Ideal for wearing to school, especially for Frozen fans.